“American Idol” winner David Cook’s self-titled album, which has hot album cover, was due to be released on November 18. The new album was co-written by rocker Chris Cornell, who has fronted for both Audioslave and Soundgarden, and produced by Grammy-winning producer Rob Cavallo (Green Day and Kid Rock). The album includes the songs such as “Declaration”, “Heroes”, “Light On”, “Come Back to Me”, “Life on the Moon”, “Bar-ba-sol”, “Mr. Sensitive”, “Lie”, “I Did It for You”, “Avalanche”, “Permanent” and “A Daily Anthem”. The record’s first single, “Light On,” is currently available at all digital music providers. Meanwhile, the 25-year-old American Idol Winner recently got a shoe endorsement deal with Skechers. 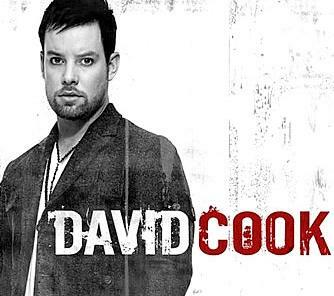 The tousled image of David Cook would be used by the shoe brand company in order to sell its casual footwear line. David Cook is expected to appear on billboards and print ads for the shoe brand up to December 2009. His debut album cover and track listing was announced earlier today.